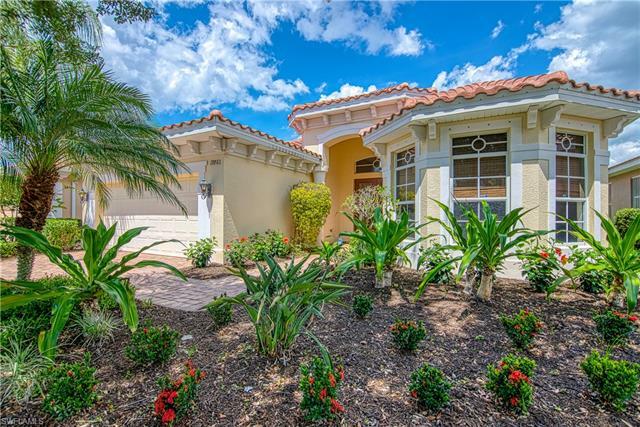 Belle Lago is a neighborhood of single-family homes masterfully developed by Toll Brothers. 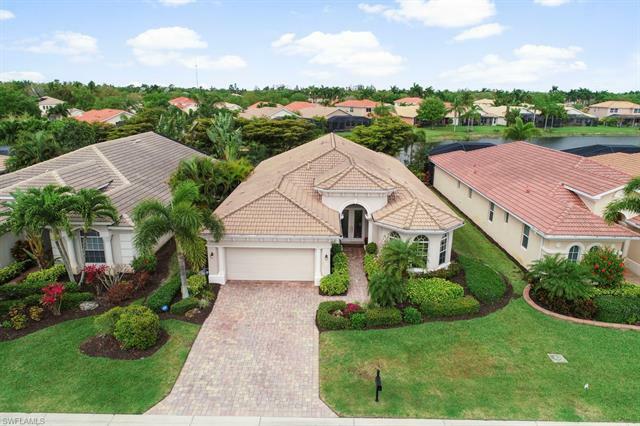 Located off of Estero Parkway, the 447 homes of Belle Lago are nestled amidst a gorgeous backdrop of lakes and nature peserves. Available in varying floor plans and elevations which accommodate two to five bedrooms, most of the homes at Belle Lago are also graced with their own swimming pool. Home usually sell at prices that range from the $400s to 600s. Belle Lago residents are enriched with amenities. The community is complemented with a grand club house which is equipped with a state-of-the-art fitness center, library, private activity rooms and game room. Outside, there’s a spacious, resort-style swimming pool, basketball court and four tennis courts. There’s also a boardwalk trail among the nature preserve allowing for a scenic saunter among the community. 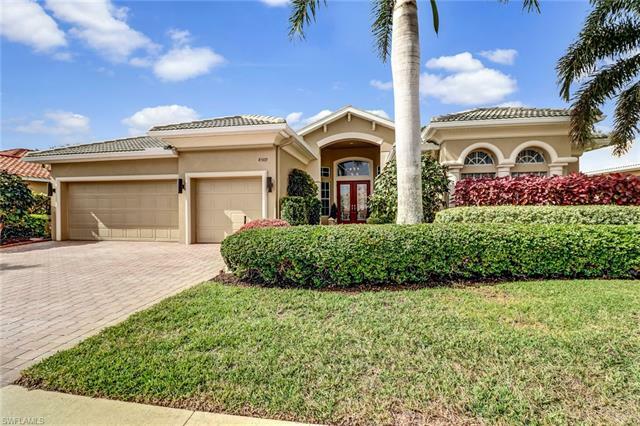 Even more in the way of recreational amenities await at the nearby Estero Country Club. Thanks to a reciprocal membership agreement, residents can conveniently access the range of activities and services. This includes golfing among a gorgeous championship course designed by Gordon Lewis. The par 72 course offers more than 7,000 yards of challenge set among an alluring expanse of 105 acres nuanced by glistening lakes and nature preserves. The country club also features marvelous menu selections for a casual lunch or fine dining at night. The overall ambiance and professionalism of chefs and servers has helped this venue earn recognition as a leading host for wedding receptions, seasonal celebrations and other society affairs. Belle Lago residents are also appreciably close to great shopping and dining among the region’s leading destinations. Miromar Outlets, Coconut Point Mall and Gulf Coast Town Center await only minutes from the community and collectively offer hundreds of distinctive options in shopping, dining and entertainment. Other nearby entertainment options include Germain Arena, home to Everblades Hockey but also a host of concerts and community events. 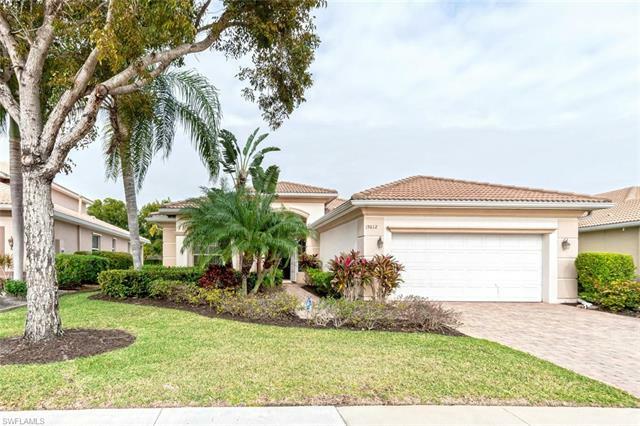 Beautiful beaches and kayak adventures along the winding Estero River also await only a short drive from the community. Families with growing children will also appreciate living in proximity to schools, churches, healthcare services and more. 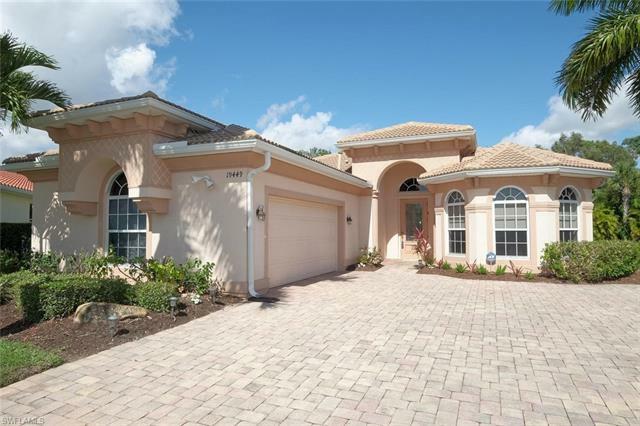 Belle Lago remains a wonderful choice for home buyers in Estero. For insight on current properties for sale, see details below.